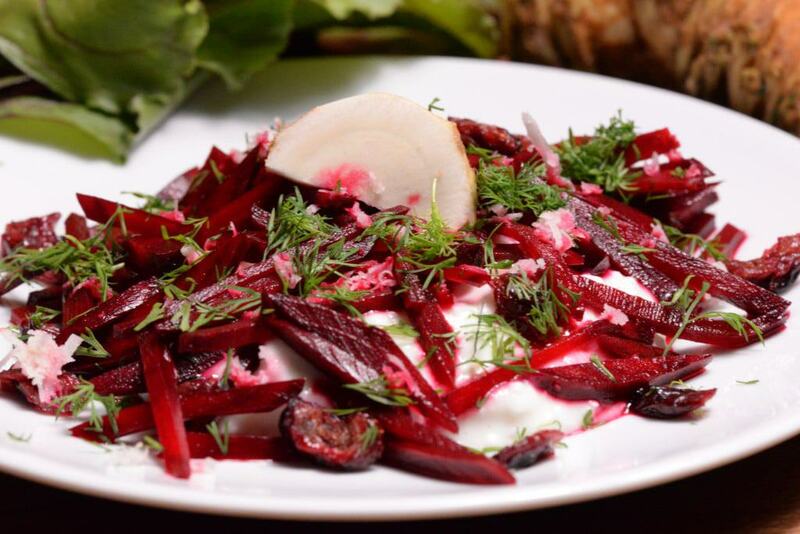 1Peel and grate the beetroots, then add the mint and ginger to the beetroot. 2Squeeze the lemons into a bowl and toss the sliced apples through the lemon juice to prevent them from going brown. 3Toss all of the salad ingredients together, then sprinkle with the feta. 4Mix the dressing ingredients together and pour over the salad when you're ready to serve.